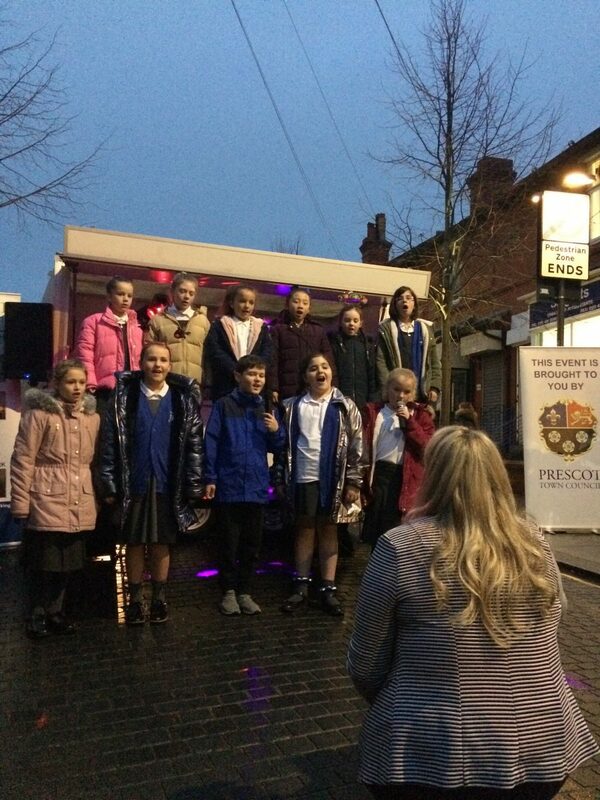 Around 400 residents gathered in Prescot on Saturday to see the Town Centre’s Christmas Lights get turned on. The event provided a host of local groups and performers with the opportunity to showcase their vocal cords, dancing feet or raise money for their causes. The groups were represented by all of our active parks groups including Friends of KGV Brown’s Field and Carr Lane Woods, Friends of Eaton Street Park, Friends of Prescot Churchyard and Cemetery and NHS SOS. 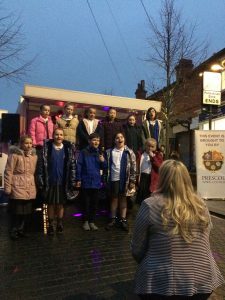 The audience were kept entertained by performances from singer Keiron Kenny, Jan Williams Theatre School and Prescot Primary School Choir all of whom were brilliant. The performances stopped to allow the now traditional selection pack give away a Town Council initiative that adds a little something extra to the day with 365 selection packs given children at the event. This was also complimented by Prescot Cables who were on hand to issue free family tickets to all those in attendance. 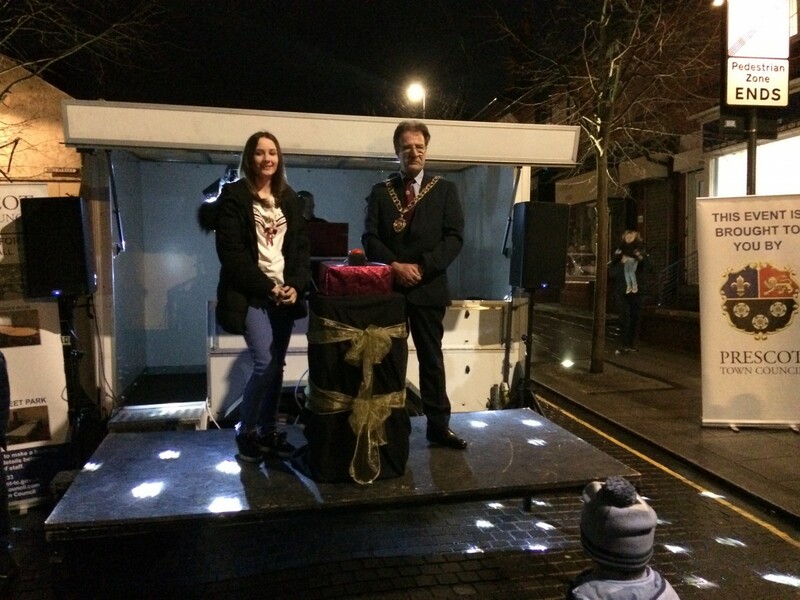 The lights themselves were turned on by the Mayor of Prescot who was ably assisted by Prescot Citizen of the Year 2018-19 – Leah Whitehead. The Town Council would also like to thank VIVARK who provide the stage, Steve Dumbell of North Mersey Business Centre for the DJ booth and generator and Geruard Markets for the use of four marquees and finally a big thank you to all those who help out on the day to make the event the continuing success that it is.